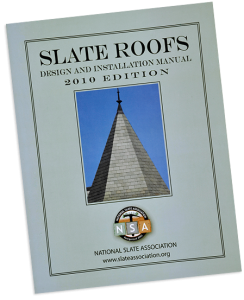 84 years after the original “Slate Roofs,” NSA is proud to offer this completely new guide to slate roofing. This complete, in–depth manual, consisting of 250 pages of text and detailed drawings, has undergone extensive peer-review by respected members of our industry. 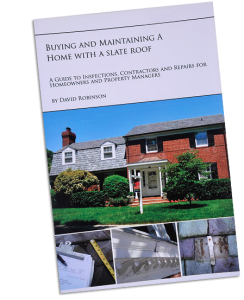 Every professional contractor, Consultant and architect who works with slate roofing needs this manual on their bookshelves! With a donkey, two paniers, a magnifying glass and a stone hammer, T. Nelson Dale set off to record the Geological structure of the Eastern Seaboard. 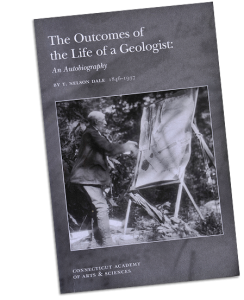 Such an enormous task and primitive means were the norm for early twentieth century geologists, but Dale in particular. He returned months later with an extensive analysis of the region, still used today. This is an autobiography, and Dale reveals himself on the one hand a fearless explorer and passionate researcher. On the other, one with petty academic rivalries and, frankly, some very odd observations on life. His eccentricity is refreshingly transparent, however. He contributed significantly to the slate industry of Pennsylvania and allows the reader a look into the exceptional life of an unusual geologist. Bennett, Frank, and Pinion, Alfred, Roof Slating and Tiling. Dorset, England: Donhead Publishing, 2000, 384 pages. This 2000 edition by Donhead is a reprint of the 1948 second edition of Bennett and Pinion’s classic work first published in 1935 by Caxton Publishing Company Ltd. Packed with 34 plates and over 200 figures, this publication is an excellent source of information on all aspects of slate and tile roofing in Great Britain . Bennett and Pinion’s work contains a wealth of information on such basic operations as sorting and holing slates and more complex tasks such as installing curved roofs and swept valleys. Use the book to broaden your understanding of slate roofing, but do not expect to directly apply many of the techniques discussed to the installation of slate roofs in the United States . ISBN 1-873394-46-2. Available from Donhead Publishing Ltd., Lower Coombe, Donhead St. Mary, Shaftesbury, Dorset SP7 9LY, England, tel. +44 (0) 1747 828422, www.donhead.com. Cost £45.00. Stearns, Brian; Stearns, Alan; and Meyer, John, . n.p., Stowe, VT, 1998, 208 pages. Information on how to design, specify, install, and repair a slate roof, including such issues as Ice and Water Shield, estimating, ventilation, and installing slate shingles on conical roofs and eyebrow dormers. 205 figures, photographs, tables, and charts. ISBN 0-9661363-0-6. Available from Vermont Slate and Copper Services, Inc., P.O. Box 430, Stowe, VT 05672-0430 . Cost $10.00. Chantilly, Virginia: Sheet Metal and Air Conditioning Contractor’s National Association (SMACNA), 2003, 496 pages. An industry standard. Excellent technical manual on the design and installation of custom-fabricated architectural sheet metal roofs and flashings, including roof drainage system design for scuppers, gutters and downspouts. Features new historical restoration section on skylights, cornices and spires; new moisture and maintenance guide; new mechanical fasteners and soldering chapter, and enhanced metals selection data. Offers new construction techniques and alternative methods of design and installation reflecting climatic conditions and rainfall rates. Also includes wind uplift pressure test reports confirming superior performance of custom-fabricated metal roofing. Applies to commercial, industrial and residential buildings. Available from Sheet Metal and Air Conditioning Contractor’s National Association, 4201 Lafayette Center Drive, Chantilly, Virginia 20151-1209, 1-703-803-2980 or SMACNA’s Online Publication Store. Cost $315 for the CD-ROM, $262 for the hardcopy, and $163 for the electronic version in PDF format. Discounts available to the trade. 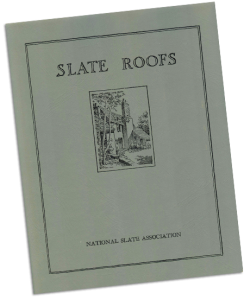 New York : National Slate Association, 1926, 84 pages. The first edition of this book was the winner of the 2001 National Roofing Contractors Association Gold Circle Award for excellence in the roofing industry. 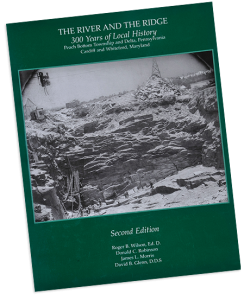 The new, second edition is greatly expanded, updated, and revised, in full color, with seven new chapters including International Slate, International Slating Styles, Roof Inscriptions and Designs, Recycling Slate Roofs, Chimneys, Valleys, and a general chapter that includes tile roofs, asbestos roofs and soldered seam copper roofs. Many new step-by-step “how-to” line drawings have been added to this edition, too, including how to fabricate a lead sewer vent pipe flashing, how to flash a variety of chimneys, how to replace valleys on both slate and tile roofs, and a whole lot more! ISBN 09644258-15. Available from Joseph Jenkins, Inc., 143 Forest Lane, Grove City, PA 16127, toll free 1-866-641-7141, josephjenkins.com, amazon.com, barnesandnoble.com, or Chelsea Green Publishing toll free at 1-800-639-4099. Cost $40.00 plus shipping and handling. Rosemont, Illinois: National Roofing Contractors Association, 2001, 286 pages. General information on new slate roof installation, including a good section on underlayments. Detail drawings illustrate basic flashing techniques. Available from the National Roofing Contractors Association, 10255 Higgins Road, Suit 600, Rosemont, Illinois, 60018-5607, 1-847-299-9070, www.nrca.net, item no. 0408, cost $75 for members, $105 for non-members; free shipping for online orders totaling $100 or more. An industry standard and an important reference. Excellent information on the mechanical properties of copper, installation procedures, detail drawings, and specifications for durable sheet metal work. Available from Revere Copper Products, Inc., One Revere Park, Rome, New York 13440-5561, 1-800-448-1776. 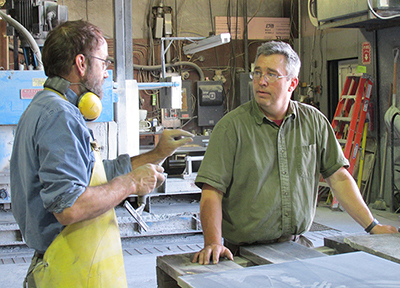 David Robinson has been in the residential slate business for more than twenty years. He understands the pitfalls and benefits of buying a home with a slate roof. In this book he provides a wealth of information, clearly explained, to assist homeowners. Jack-leg contractors are exposed, the beauty and longevity of slate roofs are extolled. A quick and easy read that puts the homeowner in charge! Preservation Briefs 29. Levine, Jeffrey S., Department of the Interior, National Park Service, Washington, D.C.: Government Printing Office, 1992, 16 pages. Part of a series of Briefs on various preservation related topics. 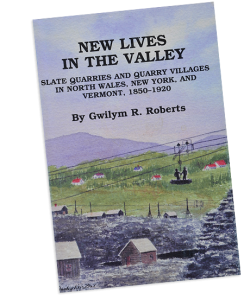 Includes information of the history of slate use in the United States, historic styles, quarrying and manufacture, mechanisms of deterioration, as well as repair, maintenance, and replacement. Illustrated. ISSN: 0885-7016. Available online at www2.cr.nps.gov/tps/briefs/presbhom.htm or as part of a set (Briefs 24-34) from the Government Printing Office, toll free 1-866-512-1800, GPO Stock No. 024-005-01147-1, cost $15.00. Bulletin 586, Dale, T. Nelson, et al. Department of the Interior, United States Geological Survey, Washington, D.C. : Government Printing Office, 1914, 205 pages. Good general source of information on the geology and quarrying of slate. Out of print, but in the collection of many university libraries. The National Register of Historic Places is the official list of the Nation’s historic places worthy of preservation. Authorized by the National Historic Preservation Act of 1966, the National Park Service’s National Register of Historic Places is part of a national program to coordinate and support public and private efforts to identify, evaluate, and protect America’s historic and archeological resources. State Historic Preservation Officers (SHPO) play a critical role carrying out many responsibilities in historic preservation. 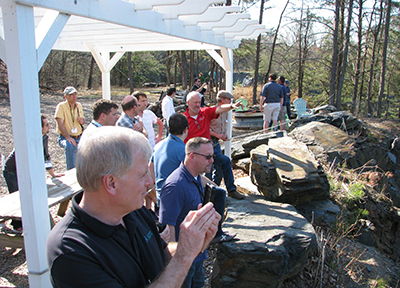 Surveying, evaluating and nominating significant historic buildings, sites, structures, districts and objects to the National Register is one such key activity. To help find out if a historic place meets the National Register criteria and how the nomination process works in your state, contact the appropriate SHPO below for assistance. The link above takes you to a map of the USA. Click on the state of interest and the governor-appointed Preservation officer’s contact information will appear. State Preservation officers will be able to inform you of any tax credits available in your state. Some states offer as much as 25 % in tax credits to homeowners, for work performed in designated Historic Areas. This includes slate roofing. Additionally, cities and counties may offer tax credits in addition to the state. These avenues should all be explored, to give your slate customer every opportunity to keep their slate roofs. Other states offer tax credits only on commercial buildings that are restored to preservation standards.